At Arizona Pottery we have always loved sharing tips on all the different types of fruits and vegetables you can grow is garden containers. 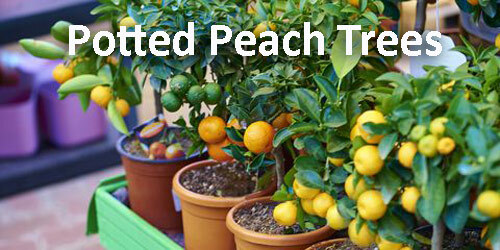 Today we would like to offer a few tips on potted peaches. 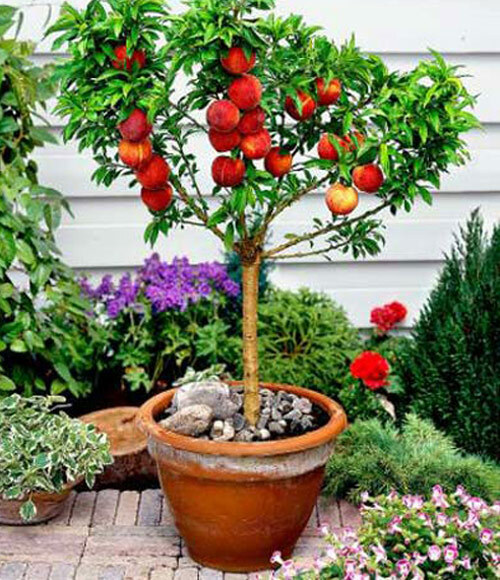 As with any potted fruit tree there are many things to consider. Whether to buy a bare root tree or a potted tree, the right kind of tree, the pot to plant the tree into, fertilizer and weather conditions etc. We think you get the idea here. Since we don�t have enough space to cover every thing to consider we thought we would hit a few highlights. First, decide what type of peach tree you want. Remember when looking to pot a tree you need to consider a dwarf style. These will grow to a height of 6 feet and still produce full size fruit. 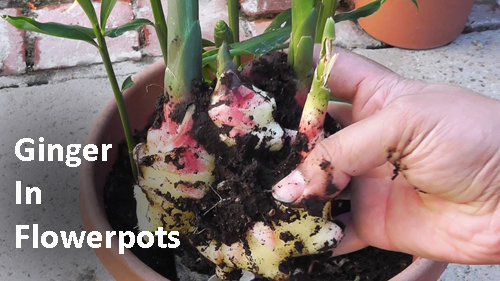 This way they won�t outgrow your garden pot and need repotting. 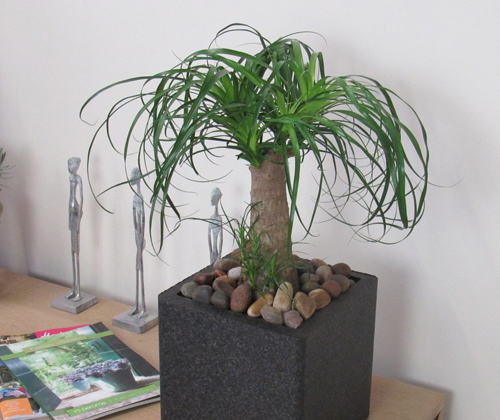 When selecting a tree we love the lightweight poly resin planters that we sell. They come in huge sizes, 32 colors and are easy to move. Place the pot you select where you want to keep it. Fill the bottom of the container with gravel for good drainage. Then add loamy compost soil half way up the side. Place the new tree into the planter and fill in with top soil. Make sure you place the garden container in a spot that gets full sun with protection from cold winds. You will need approximately 7 or more hours of sun a day. 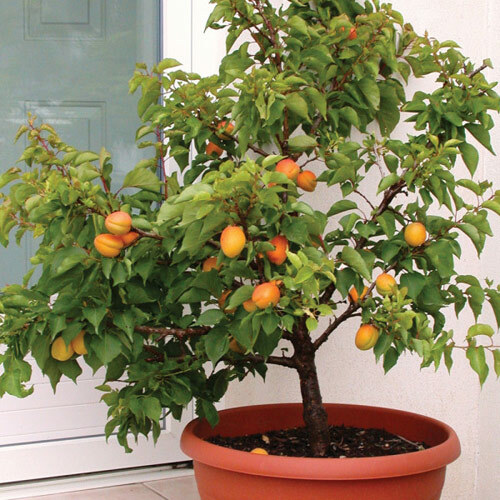 We think a potted tree that is started at a local nursery is the easy way to go. Then all you need to do is take it home and repot it into a decorative garden planter that matches your home and landscape décor. 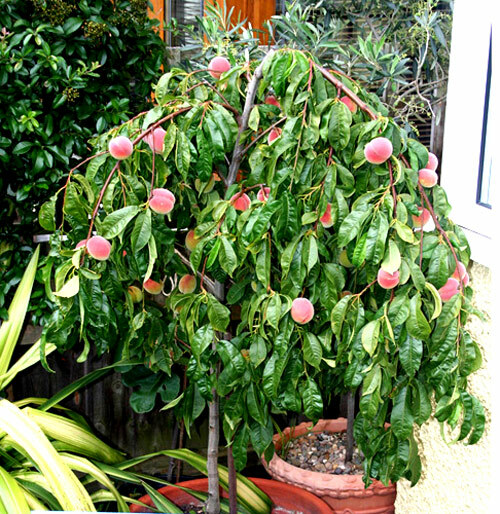 Lastly, when it comes to taking the best care of your potted peach tree we suggest googling the best way to prune and fertilize the tree. There is no point in making this kind of investment of time and money if you don�t take care of all the little details. 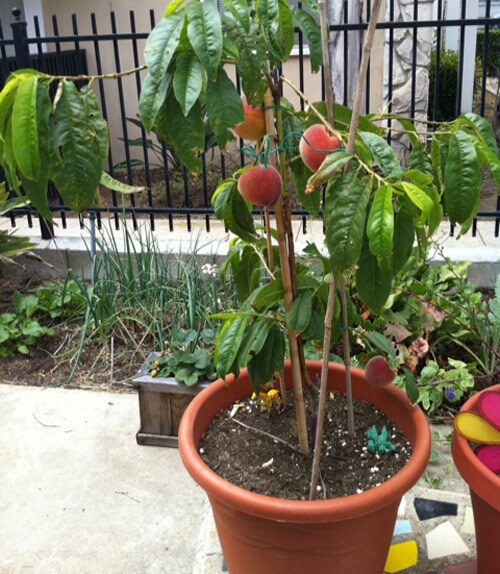 How many folks do you know that have a potted peach tree in their yard or patio area? Well you can be the first by following the above easy directions. You have seen more than enough articles and blog posts on how to grow herbs, veggies and succulents. Now that the public is becoming more health aware they are potting up and growing their own food and edibles. 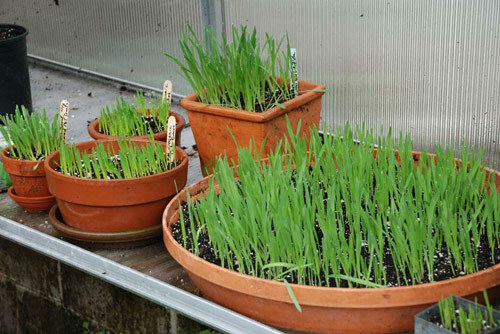 Here are some easy and fun tips for growing Wheat grass. Start by selecting a shallow container. Bonsai dishes, oval and square garden planters, garden bowls and wok planters all work with great success. 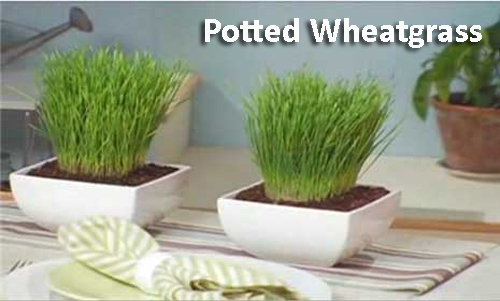 You don�t need a deep flowerpot or tray to grow wheat grass since the seeds are not buried but lay on top of the soil to grow. Purchase seeds from your local garden center. Fill the garden pot with soil mix about 1� deep. Gently compress the soil mix in the planter. Water soil till moist but not dripping wet. Cover about half the planting area with seeds but try to make sure they don�t touch. Lightly compress the seeds into the soil. Cover the pot with a lid or upturned plant saucer. Check the potted seeds and moisture twice a day. When seeds germinate, remove lid and place the flowerpot in a warm indoors area where there is sun. Check daily for water moisture. 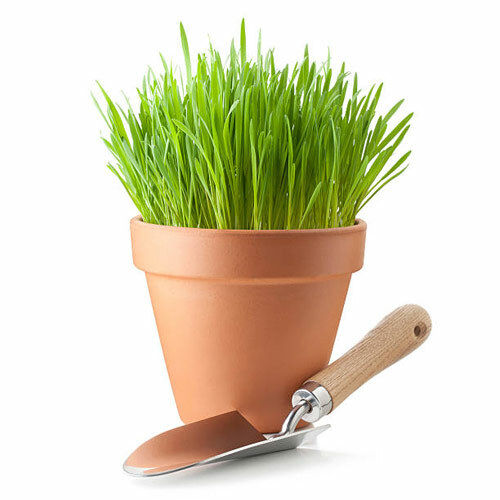 Harvest with scissors any wheat grass that is 6� high. 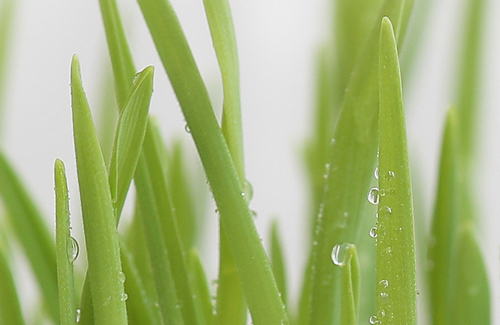 The wheat grass will grow back a second time after harvesting. When spent, toss everything into the compost pile and start over with a cleaned out flowerpot. Suggestions: Juice the grass, blend the whole grass in a smoothie, add to a salad mix or to any soup dish. Saw this and thought it was a great tip for gardening. Everyone knows how to use egg shells crushed up and mixed into potting mix as a natural fertilizer. The nutrients in the shells act like a natural fertilizer for your garden pottery and planters. Well if you have ever had issues with flea beetles eating your growth then here is a natural and simple way to stop them. Diatomaceous earth is a known organic pesticide which is basically fossilized remains of creatures that are ground into a fine powder. 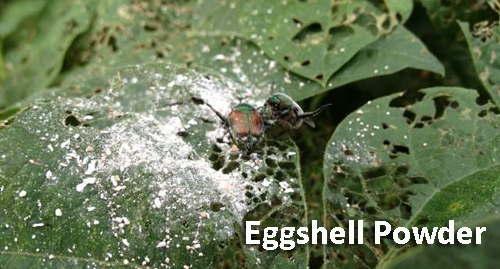 It gets under the shells of beetles and acts like bits of glass to cut them up and kill them. Ground egg shells work the same way. If you eat lots of eggs and most folks do, this should be an easy DIY garden project. Prepare shells by cleaning them if they are dirty. If not dirty then don�t bother. Make sure they are dry and don�t skip this step. Just lay them out on a paper towel for a few days. 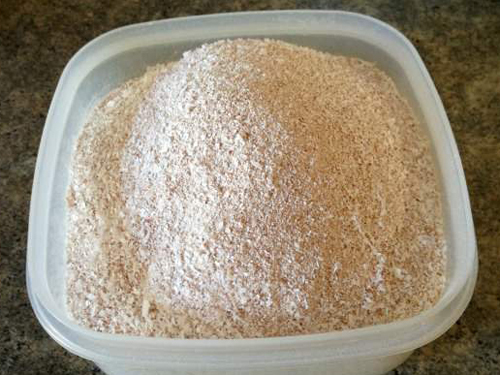 Once completely dry, ground them into a powder using a coffee grinder. Once ground use the powder right away. 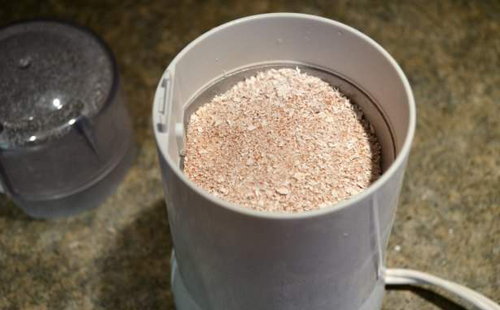 Store the remaining eggshells or ground shells in a Tupperware container in the garage or a cool dark place. 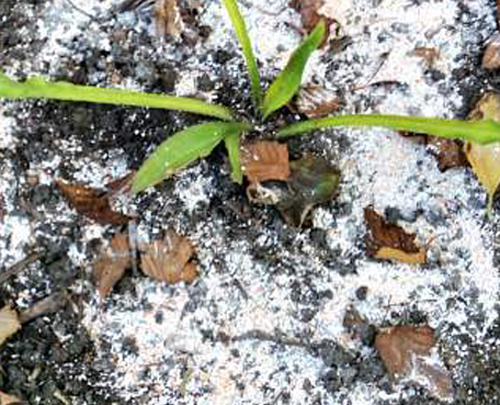 Sprinkle the powder directly onto the leaves and pests. The bugs may not die away but they will eventually so don�t worry if they fly away. It is recommended that you don�t sprinkle all over your garden. This avoids killing all the beetles even the good ones. This is where potted plants come in. You can also sprinkle on the tops of your garden planters surrounding the potted plants and keep the plant healthy without spreading the egg shells all over the garden. Perfect! 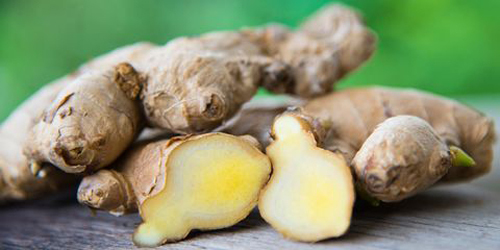 If you read any health or cooking magazine, you have read how healthy Ginger is and how everyone should be using it. At Arizona Pottery we think you should grow your own in decorative flowerpots and garden containers. It�s easy and fun to do, so here are some tips. 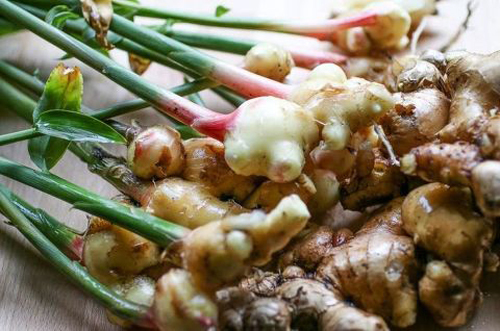 With your life so busy, you may ask �Why would I want to grow my own Ginger?� Well, by potting up your own you are sure there are no pesticides or other harmful ingredients added to the potting soil or water. And, it saves money. If you start using more ginger then you can save some real money by growing your own in flowerpots. First thing is to select a garden container or planter to use for potting. Since Ginger grows horizonally we suggest a wide pot. Garden Bowls or wok styles are perfect. Just make sure the planter is wider then deeper and has good drainage. Use rich potting mix that allows good drainage. This is not the time for heavy soil that will cause root rot. 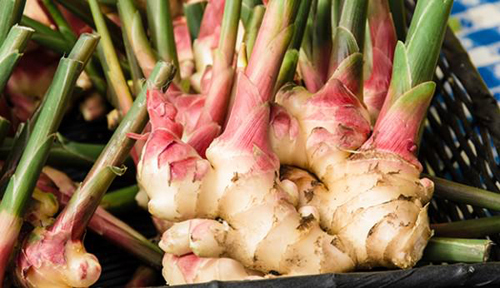 Next go to the store and find ginger pieces that have new growth buds on them if possible. This little bud will grow between the large arms. If there aren�t any then buy what the store offers anyway. Once you get it home, soak in water for 24 hrs to remove growth inhibitor, and dirt. If no buds on the ginger, place in a window until buds start sprouting. Could take a couple of days. Then place the piece of ginger in potting soil and cover with an inch of soil. 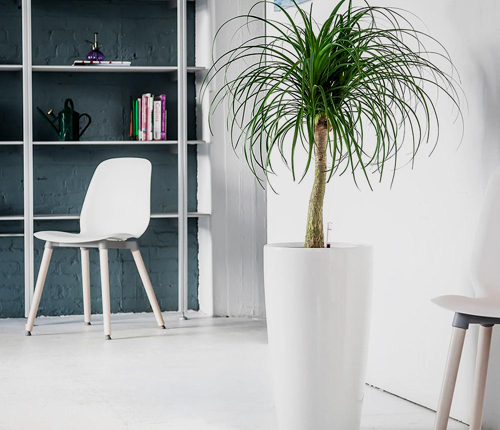 You don�t need to pack it all the way to the top of the planter. Leave some room for watering. Place the garden container in indirect sunlight indoors because it doesn�t like wind or direct sun. Water regularly, making sure soil is damp but never soggy. It takes months to grow so be patient. It ranges from 3 to 8 months where you can start to pull of sections of the plant to use. And if you want you can even transplant them into other garden planters and give as gifts, to neighbors or co-workers. Ginger is so healthy. Just google it and you will be amazed at the healing properties. Use in smoothies, tea, oatmeal and on most food where it adds a delightful taste. 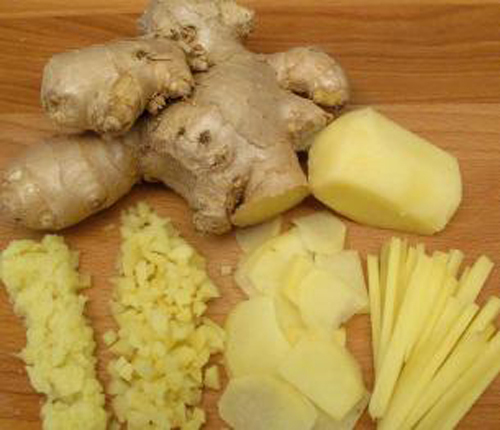 Ginger can be grated, sauteed, sliced, julienned and used on most all food groups. [Read More] Container Gardening For Food. 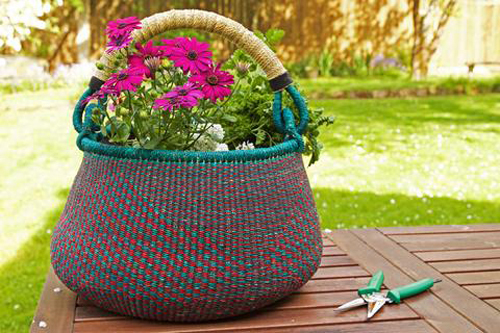 We love to see baskets used as garden planters. Any type of container that can be reused, recycled or re-purposed is a plus for us, for you and for the environment. 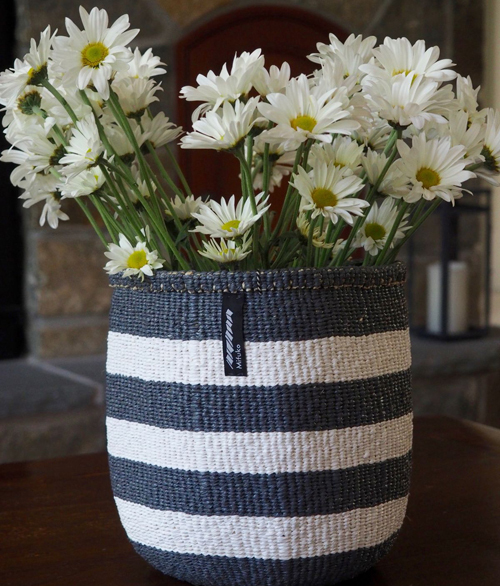 A basket container adds so much texture, and interest to your porch or patio that it has to be encouraged and implemented. 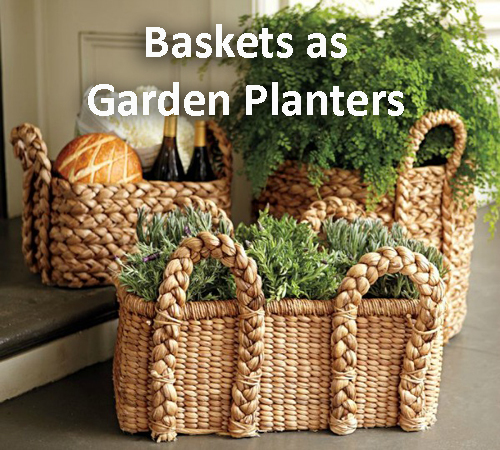 If you don�t have a favorite basket that you no longer want indoors or if you need to purchase baskets to turn into garden planters, then look no further than a thrift store or garage sale. Most folks have them already laying around because they make the most wonderful ways to organize all kinds of household items. Like with any flowerpot start by thinking about what you want to pot. Are you into houseplants or colorful flowers. 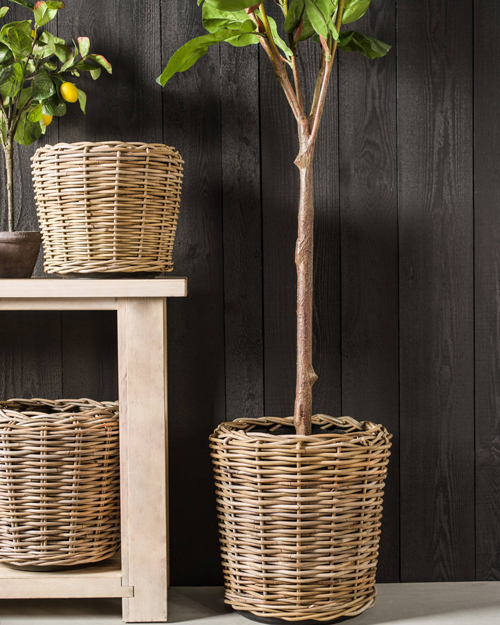 Do you need a small basket planter for a table-scape or will this stand alone holding a large tree or shrub? Is the baskets pretty worn looking and could use a touch of color or is the beauty of the rattan lovely in it�s natural state? Start by painting it or not. Then the most important step is to spray a couple of coats of a protectant clear sealer. This will help the basket to last longer and is a very inexpensive step to follow. If you don�t want to pot directly into the basket you will need to line it with a garbage bag that is cut to fit. If the basket pot has a tight weave you can plant directly into it. Make sure the bag doesn�t show at the top. You want to poke a few drain holes in the bottom of the bag. Next add some pea gravel, rocks or pot shards to the bottom. This helps with the basket planter drainage and to hold the basket down if it gets windy outside. Follow the rocks with potting mix but only fill about 2/3 full. Because you will need room for the plants and don�t want them all the way to the top of the basket container. Lastly, once the plants are potted, you can add some more soil to cover the roots but don�t pack to hard and don�t fill the basket to full and you should be good to go. Display this lovely basket planter on the porch next to the front door, on the patio on a table or anywhere you want some texture, color and beauty. [Read More] Fairy Gardens Are Fun! Have you ever heard of these wonderful plants? Even though it's called a ponytail palm it's not really a palm at all but a member of the lily family. It has an unusual nickname "Elephant Foot Tree" because of it's bulbous base and thin trunk. These potted plants are native to the desert so they like direct sunlight. 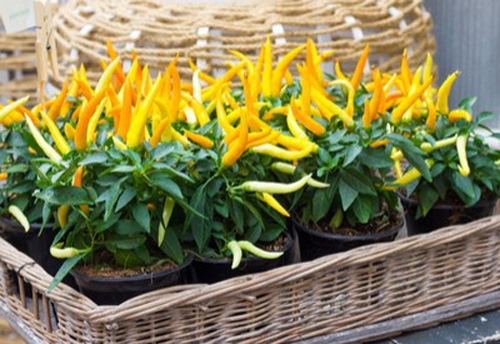 Place them in large garden containers and make sure they are getting as much direct sunlight as possible. You don't need deep garden planters since the root systems are very shallow but sometimes a deeper pot looks more uniform and pleasing. Since the palm is a deep forest green color you can use any type of container from terracotta to colorful glazed pottery. 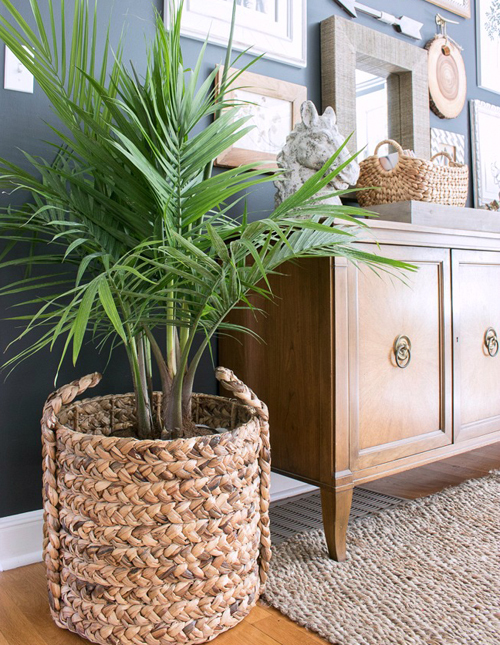 A bright and cheerful planter will compliment this palm beautifully. These potted ponytail palms are drought tolerant and don't like much water. Never allow water to sit in the bottom of the flowerpot or saucer. The palm stores water in its big base and doesn't need much water before it may start to rot. Use a good potting mix with lots of sand in the mix in the garden container. 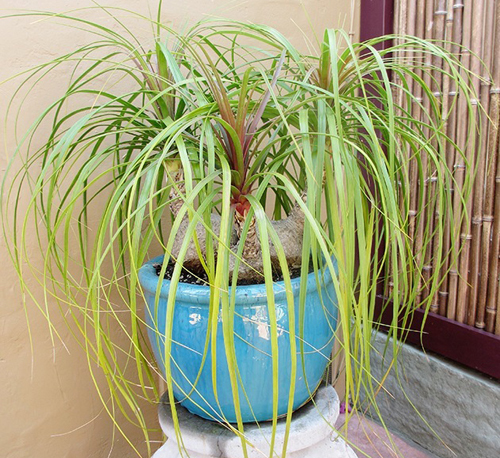 Under-watering this potted palm will show up as brown foliage. Over-watering will show stem or root rot. 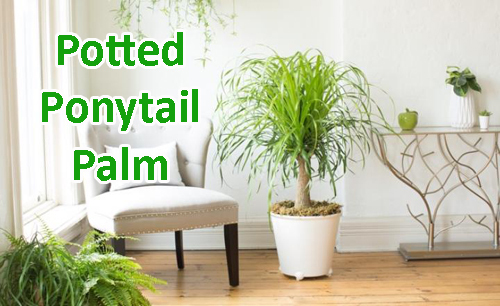 If you watch the watering and make sure you have a nice sized planter, your potted ponytail palm will add beauty and interest to your home and garden collection of planters. 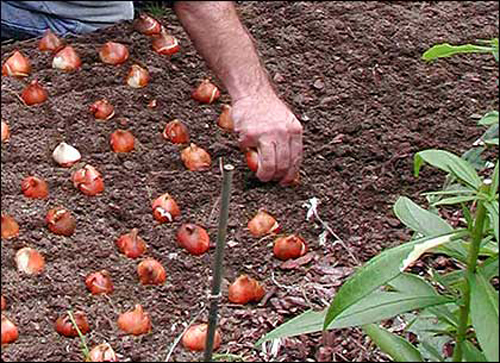 Why should you plant garden bulbs in Fall? This is a good question. This time of year when everything is starting to slow down when it comes to your garden, landscape and garden pottery. You should be thinking about cleaning out all your home and garden planters, washing them up and storing them for the winter if they can't handle the freezing temps and cold. 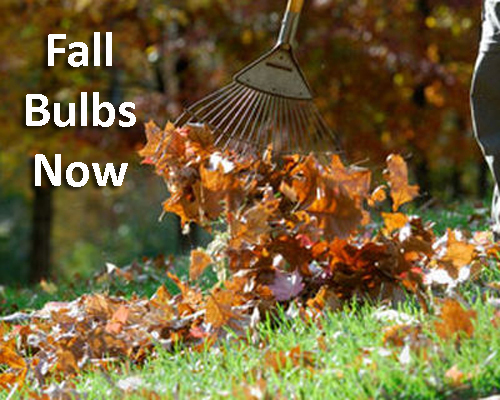 But, now is also the time you should pot up your garden bulbs for next Spring. Sounds strange doesn't it? 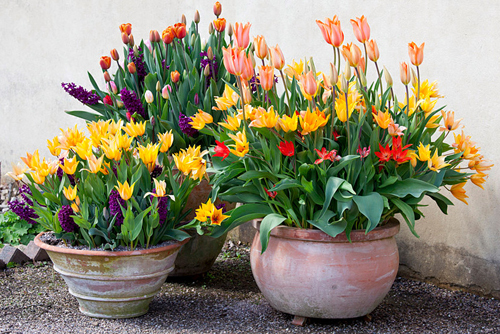 Well potted bulbs need time in cooler weather conditions for several months in order for them to bloom come Spring. Basically it's the coldness of winter that encourages the bulbs to bloom. You can plant them directly into the ground of course but we feel there is nothing more beautiful come Spring then large flowerpots bursting with color and fragrance. Garden containers are also the way to go if you live in an areas where animals can get to them for food. The containers will keep them safe and comfy till they bloom in Spring. 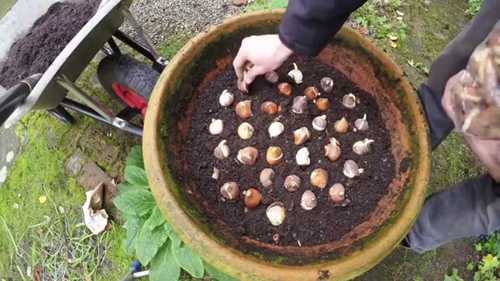 Potted bulbs like well draining soil or they will rot. Use our Pot Filler to fill the bottom of your planters. It will let the excess water drain off, keeps the soil from draining out the hole and provides better air circulation. A garden planter of bulbs also like 5 hours of sunlight during the growing season so make sure your planters are placed in a nice semi sunny spot. Once the days get shorter and cooler you should be shopping the bulb catalogs for the ones you one to plant this next year. You want the soil in your planters to stay cool but not freeze. Leaves are changing color and dropping from trees. It's a beautiful time of year when nature says FALL is coming. This is the time to pot up your bulbs. Either use existing garden planters or shop ArizonaPottery.com for some new ideas in pottery, pots and yard planters. We are not going to go into the planting etc of bulbs. This blog is to address the fact that now is the time to start planting.